On July 20, 1969 (nearly 50 years ago!) Neal Armstrong became the first person to walk on the Moon. The most powerful rocket ever made, the Saturn 5, made the journey possible. 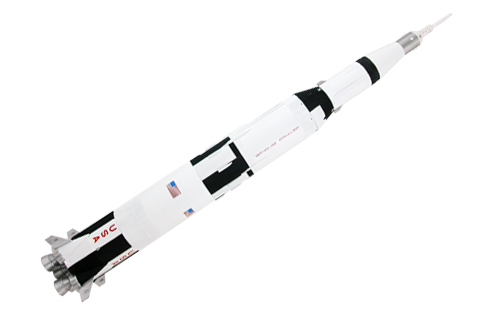 Using Studio 300’s CR-10 large format 3D printer, we printed a 60″ model of the infamous Saturn 5 rocket. The machine printed the model in five stages, and these join together to form the complete model. The final 3D printing time topped 200 hours! These pictures recap key moments in the long process. Studio 300 3D printed a Saturn 5 rocket model in five stages. The next steps will include painting, detailing, and final assembly. Watch this blog for updates as the process continues. Meanwhile, to see this amazing model in person, stop by Studio 300. This entry was posted in STEAM / Maker, Studio 300 and tagged 3D printer, moon, Moonwalk, nasa, rocket, saturn 5. Bookmark the permalink.